Irish crime fiction has seen remarkable growth over the last decade, with many describing it as the Golden Age of crime fiction writing. The reasons for the rise are as diverse as the genre itself, and certainly, the ending of the Troubles in Northern Ireland, the fall of the Celtic Tiger years, and other social changes have each played their part. 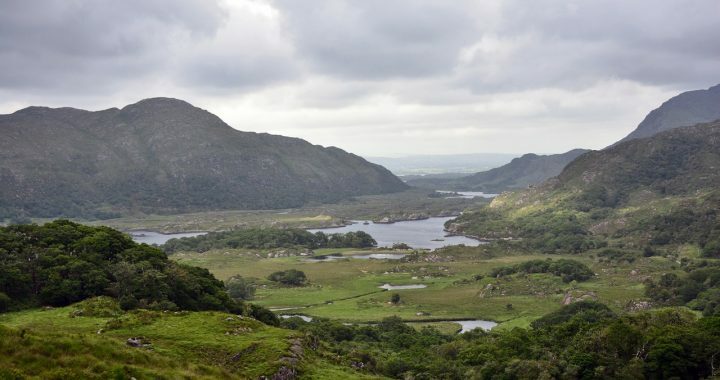 With the economic movement of people to larger cities, Ireland has gone from the minute to the global, and many Irish authors have chosen crime fiction for their creative expression. Within the Irish context, it is now possible, in both fact and fiction, to have a killer living next door. You will find everything from police procedural, domestic noir, psychological thriller, cozy detective, historical and political crime fiction all explored in novels with locations based at home and abroad. Perhaps the sheer diversity of the genre on the Irish scene, unlike its Scandinavian counterpart, is a contributor to its recent success. I write psychological thrillers, and like most writers, I am drawn to the study of humanity. I am curious about all aspects of our nature, including why people do certain things and behave in a way that may or may not be acceptable. Working with psychologists for my research has taken me on a fascinating path. When I think about characters, I think about who they are when their masks are down, how they will behave when they are put under pressure, what motivates them, and what causes them anxiety and solace. I have always been drawn to exploring darker issues, for which the crime genre is well placed and this might have started when I was a kid watching those Hitchcock films which were scary but absorbing at the same time! I guess the psychological thriller was always waiting in the wings. I’ve no doubt that my writing has been shaped and formed through the reading material I’ve enjoyed over the years. Some of it wouldn’t fit neatly under the crime fiction umbrella but nonetheless echo elements of it, seeking out through literature why some people don’t follow the same rules as ourselves, and how, more than any other genre, crime fiction digs deep into our humanity, including frailty, fear, love, hate, and loss, along with a lot more besides. There are high stakes in this genre. Fictional characters are truly tested, and very often, ordinary people are placed in extraordinary situations. Within contemporary Irish crime fiction, John Connolly and Tana French have probably influenced me more than most. Apart from the Charlie Parker series, The Book of Lost Things is one my favorite books of all time, and Tana French’s debut novel, In the Woods, has pride of place on my book shelf. Other Irish writers have shaped my creative process, too, including five-time Booker Prize nominee William Trevor, regarded as one of the greatest contemporary writers of our times. Several of his stories use gothic elements to explore the nature of evil, but his novel Felicia’s Journey, which was made into a movie, has particularly stayed with me. The Irish mystery writer Gemma O’Connor has been another key influence; from Sins of Omission to Walking on Water, I read her stories long before I had any aspiration of being a crime writer. Of late, Irish crime fiction has seen the emergence of many female voices. I am privileged to be part of this group. At the annual Irish Book Awards last year, there were five female crime writers shortlisted, including myself, alongside Benjamin Black. Like our male counterparts, through fiction, each of us is portraying a sense of not only how we feel about the world around us but how we choose to write about it. With my debut novel, Red Ribbons, now published by Polis Books in the US, in many ways, I explored my own worst fears as a parent, that of something bad happening to a child at the hands of another. The tag line for the novel is The Bad Man is everywhere, but can you see him. Through criminal psychologist Dr. Kate Pearson, I hope the reader gets to be the quintessential fly on the wall. For me, it was a journey well worth traveling, and I hope you agree. Louise Phillips’s debut novel, Red Ribbons, featuring criminal psychologist Kate Pearson, was nominated for the Best Irish Crime Novel of the Year. Louise’s work has formed part of many literary anthologies, and she has won both the Jonathan Swift Award and the Irish Writers’ Centre Lonely Voice platform, along with being shortlisted for the Molly Keane Memorial Award, Bridport UK, and many others. She is the recipient of an arts bursary for literature, and this year, she was awarded a writers’ residency at Cill Rialaig Artist retreat. She was also a judge on the Irish panel for the EU Literary Award. Polis Books will be releasing her Kate Pearson series in the United States for the first time beginning with Red Ribbons. Visit her at louisephillips.com and follow her at @LouiseMPhillips.